ColourPop's spring phase 2 is pink! You know pink is my favorite color and I love all things pink. This collection also seems like an extension of the Valentine's day collection because of all the pink stuff but the colors are more true to pink and brighter in this collection. There are 7 new pressed eyeshadows in this collection but I did not get them because I feel like I can spend that money at a better place, but the shades are pretty unique and some of them look nice. 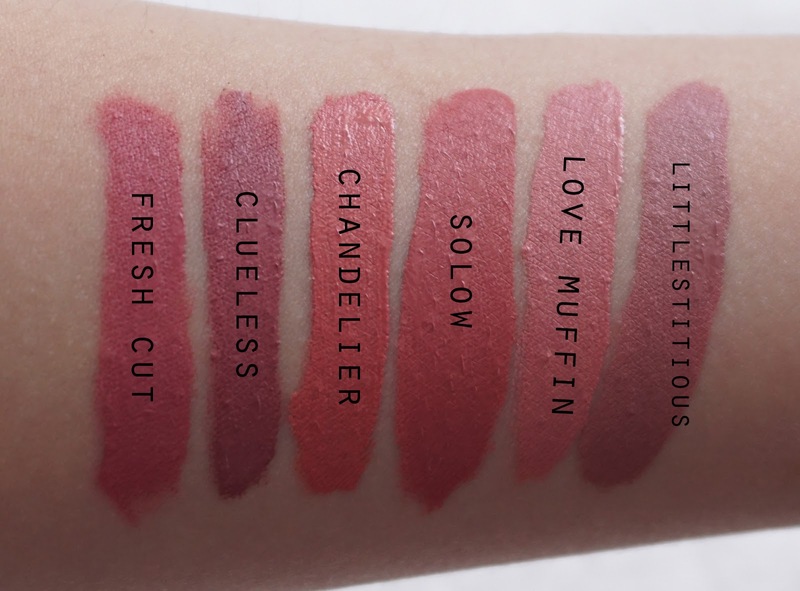 The transition shades like Labyrinth is the perfect dusty rose shade so I might pick one or two up. 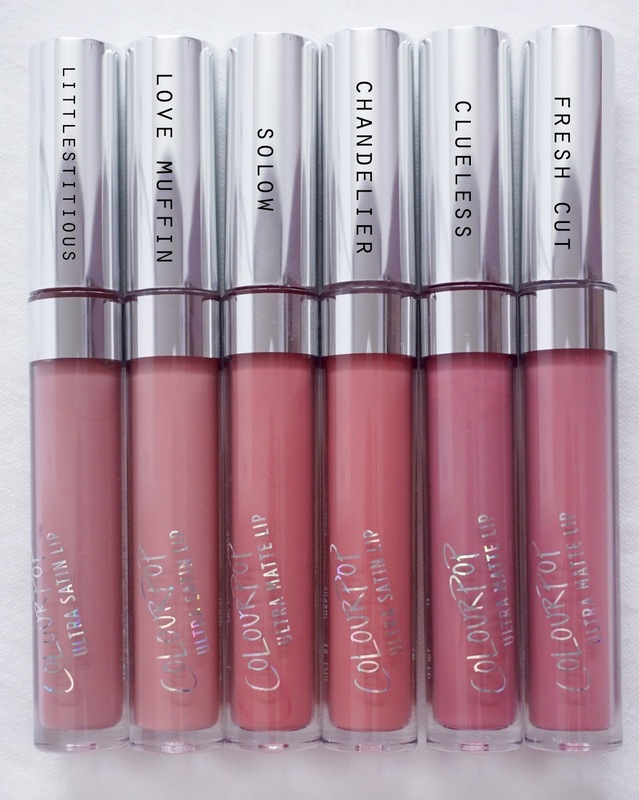 I mean, if you want more mattes in a wider variety, go ahead and get some. The blush/highlighter duo is very much more pink this time around. 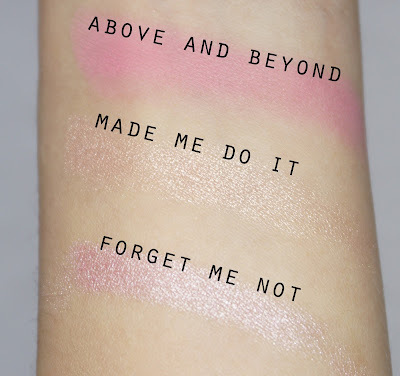 Above & Beyond is a matte warm pink blush while Made Me Do It is a pearlized champagne pink highlighter. They apply smoothly like The Knockout palette but I had to layer the blush a bit for the swatch. You won't need to for your cheeks so that's a minor issue. There is kickback if you use your brush to pick up the blush, so I'm not a fan of that. If you like pink blushes, this is a cute one, especially for spring and summer. It's like one of those cliche true pink shades but if you apply it lightly, it can add a nice subtle flush to your cheeks. The highlighter is really pretty and creamy. The pink base is quite light so it blends in with my skin but it gives a nice glow and I'm pretty sure it has some gold flecks because I noticed a gold sheen. I love pink highlighters! 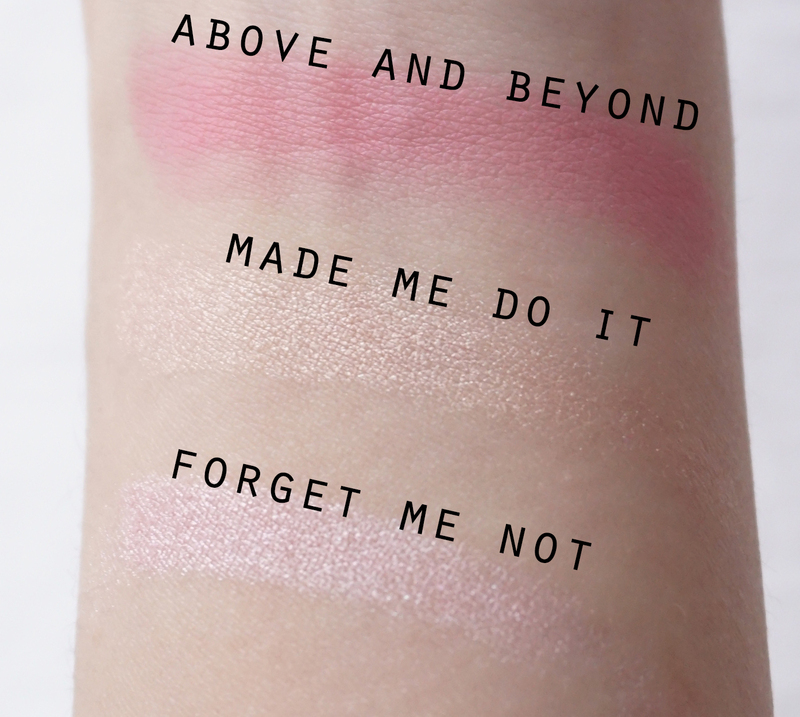 They can double up as blushes by adding a tint of color to your cheeks while giving some major glow at the same time. The Super Shock Cheek Highlighters do not emphasize your pores like how powders can because it is so creamy and packed full of pigment and pearls. A layer of this doesn't give much color but the glow is there. A second layer will give a slight pink to the cheeks which is very pretty. 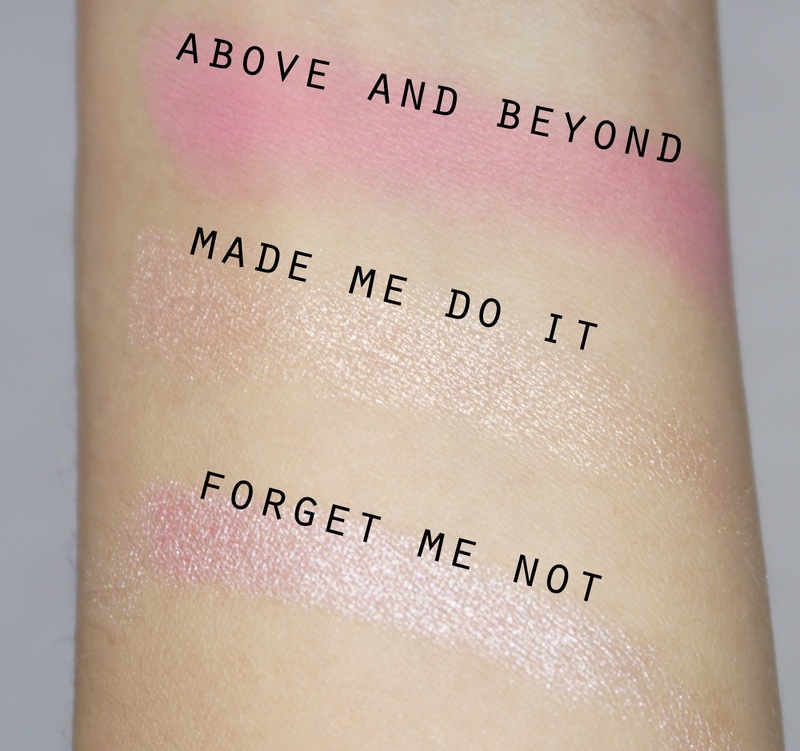 You can wear this over Above & Beyond for a seamless pink highlight look. Here are some comparison swatches. Top photo is under natural lighting and bottom photo was taken with my ring light. I'm not a fan of this color because of how light it looks against my skin tone. It almost washes me out. If you like the style of Japanese makeup then maybe you might like this color. Otherwise, I would stay away from it unless you have really pale/light skin or really dark skin so that there is a contrast. The formula is a lot better this time though. It's not as soft and oily as the previous newly formulated cremes so I had a much easier time putting it on. It still looks a little bit icky on the inside of my lips because the product tends to cling onto dry areas and pile up. This was one of the shades in the Short and Sweet mini set for the Valentine's day collection. Apparently, it was the most requested shade to be made in a full size so here it is. I'm still waiting for the rest of the colors to be upsized because the mini versions are total rip offs. You hardly get any product in those. Anyway, this color looks really similar to Birdy but it is more neutral while Birdy is warmer (more orange). 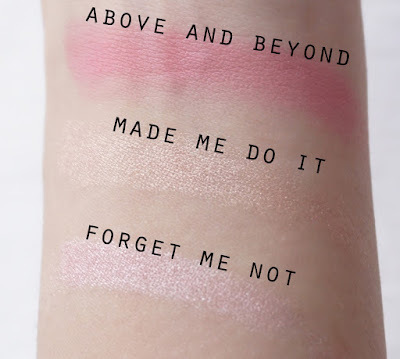 I swatched it side by side but forgot to take a photo. So, like I said with Birdy, it would look good on really pale/light skintones or really dark skin tones but not in between because it borderline washes me out. 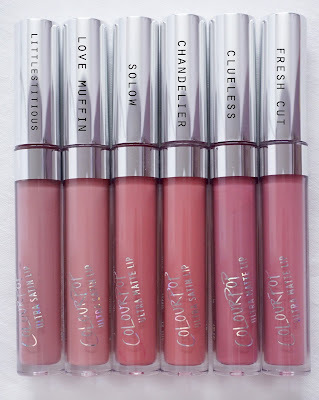 Otherwise, the Ultra Satin Lip formulas are one of the best liquid lipstick formulas out there. Very pigmented, comfortable and long wearing although not transfer proof. This is a very cute and wearable color. It might be too bright on darker skin tones but for light to fair skinned beauties, this is quite flattering. 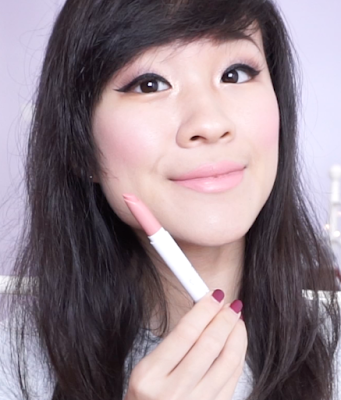 My zoomed out shot is a tad overexposed because I forgot to turn down my light but you can see my up close lip swatch that the contrast between my skin and the lip color is just right. Again, my face shot looks a bit overexposed but this color is not as bright as Chandelier. 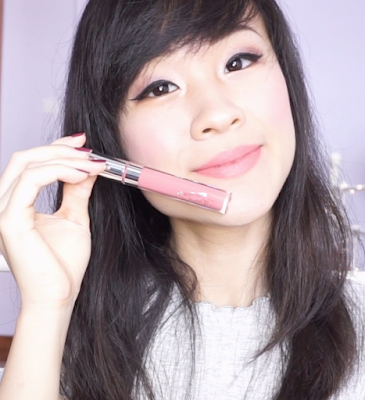 If you look at my close up lip swatch, it kinda looks like Above & Beyond but in liquid lipstick form. It's a very pretty color but if you put on a thick layer, it can accentuate your lip lines. Also, the color looks lighter and paler in the tube and when you first put it on but it will dry down to a darker shade. I looked through my collection and tried to find the closest dupes for the new shades with the others in their permanent collection. Apparently Milk Bottle is supposed to dupe one of them but it's discontinued already. Littlestitious is more mauvey and has more purple undertones than Love Muffin. 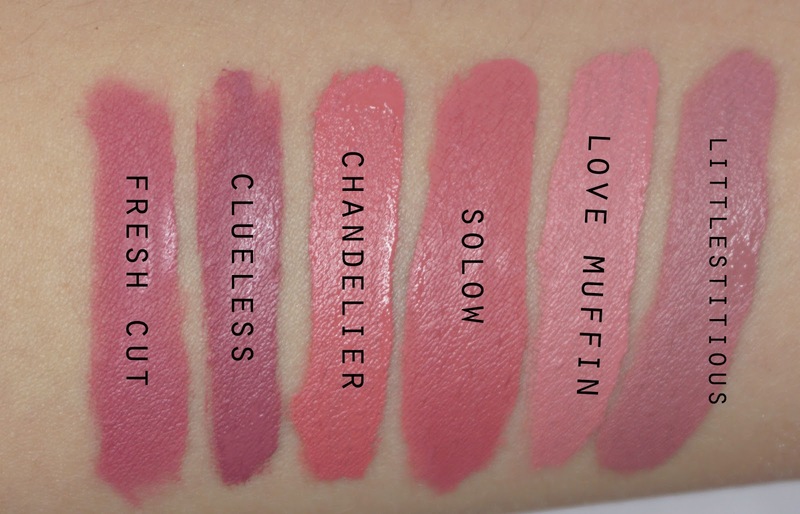 It is also more muted whereas Love Muffin is paler and very pink. Solow and Chandelier are very similar. 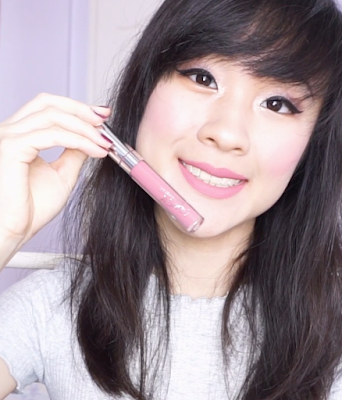 Solow is and Ultra Matte Lip but it slightly muted as compared to Chandelier which is a tad brighter and warmer. Clueless is more mauvey than Fresh Cut so it looks darker. Chances are if you like Clueless, you will like Fresh Cut too. Do you have any faves from this collection?